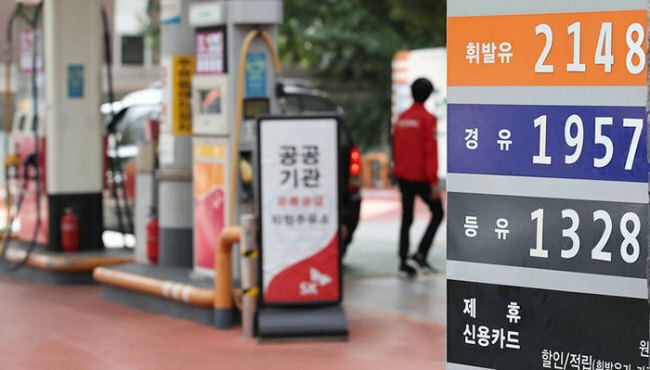 The latest increase in the global oil price and the country's minimum wage, along with the heat wave are anticipated to push up the cost of living in South Korea, a report showed Sunday. According to the report released by the Hyundai Research Institute, the country is set to be affected by a hike in living costs following multiple factors, including the increase in raw material prices and the minimum wage. The outlook came as the price of oil, which was around $26.9 per barrel in early 2016, currently has shot up to $72.1 this month. The report said the price of foodstuffs also has been increasing since 2016, although the pace slowed recently. Local businesses have also been facing a hike in expenditures in labor outlays, as the government recently raised the minimum wage by a two-digit percentage. South Korea has also decided to hike the wage by 10.9 percent to 8,350 won per hour next year, after a 16.4 percent on-year rise in 2018. Following the government's push to have businesses grant permanent positions to irregular workers, the report said local companies are set to face more burdens down the road. Researchers also cited the recent heat wave as another hurdle for the nation's economy. The private think tanks said research showed average prices of fresh foodstuffs tended to increase when the number of heat wave days hovered above the average of 4.3 days over the July-August period from 1991 to 2017. In July 2018 alone, South Korea experienced 15.5 days of heat waves. The country had a record of 28.7 days of heat waves for the July-August period in 1994. Considering such factors, researchers said the government should keep close tabs on the goods trade so the increase of product costs does not surpass the hike of production costs by a large margin.